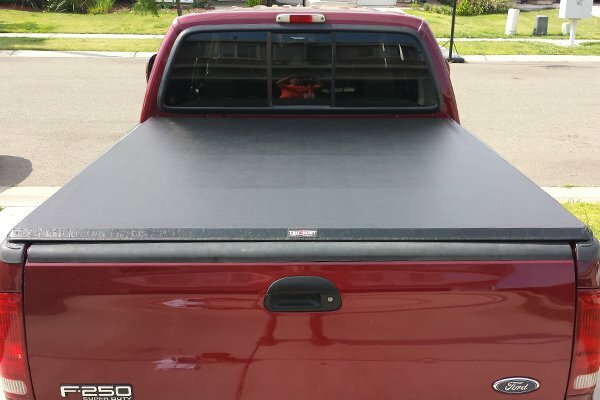 TruXedo TruXport Roll-Up Tonneau Cover - Reviews & FREE SHIPPING! 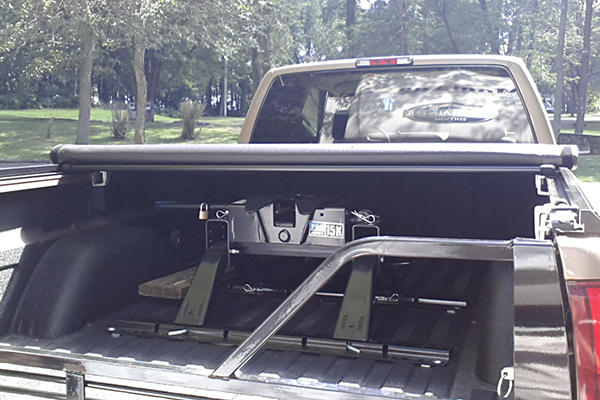 Not sure which truck bed size you have? 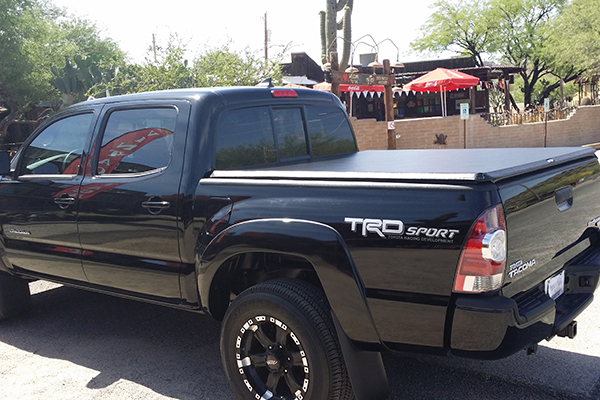 Dress your truck with a custom-designed TruXedo TruXport Roll-Up Tonneau Cover, which safeguards your gear without the use of cumbersome zippers, clips or snaps. 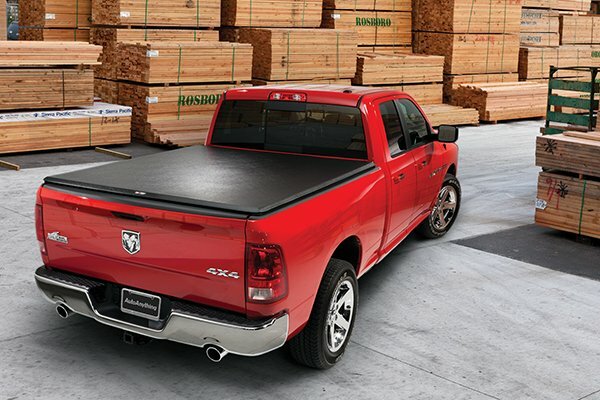 The sleek TruXedo Tonneau Cover provides a no-fuss, no-frills solution when it comes to durable payload protection. 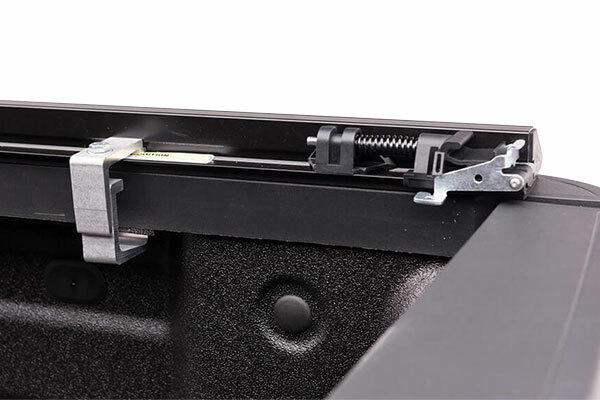 The TruXport seals smooth with a simple Velcro fastening system that runs the length of the rail. 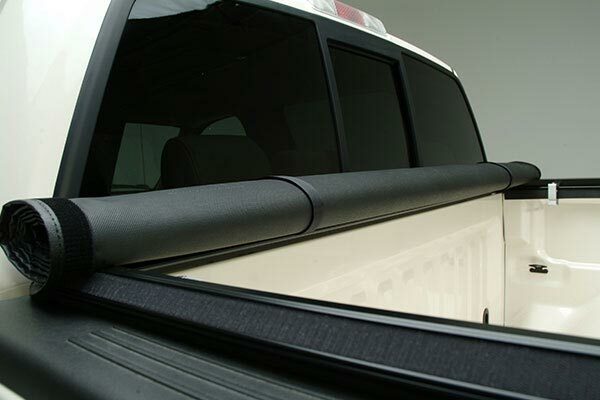 And, easy-to-use tension adjusters provide a fiberglass-like sleek surface in any weather and works great with 5th wheel hitches. If you’re worried about the “covered wagon” look of other tonneaus, you have nothing to fear when you shop with TruXedo. 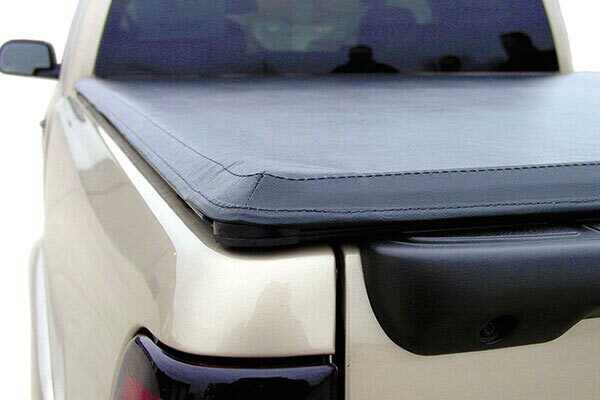 The TruXport Tonneau Cover utilizes a system of straight bows that lay flat for a stylish, sleek, flushed fit. 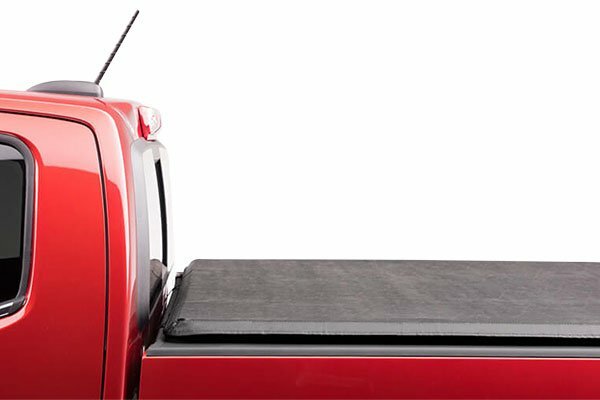 Plus, because these bows are attached to a heavy-duty vinyl tarp, you can still enjoy convenient access to your full bed — the cover rolls up in less than 30 seconds. 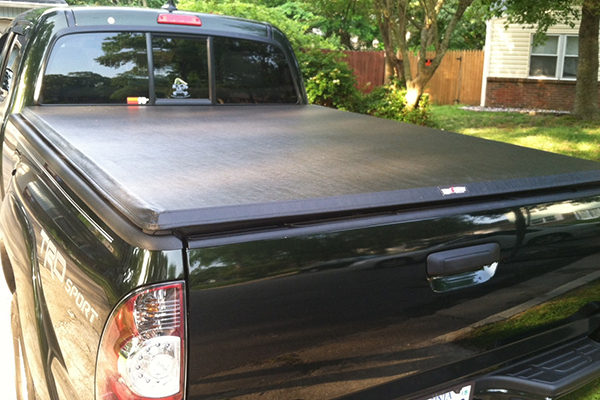 Though the TruXport is a soft roll-up cover, its security is a force to be reckoned with. 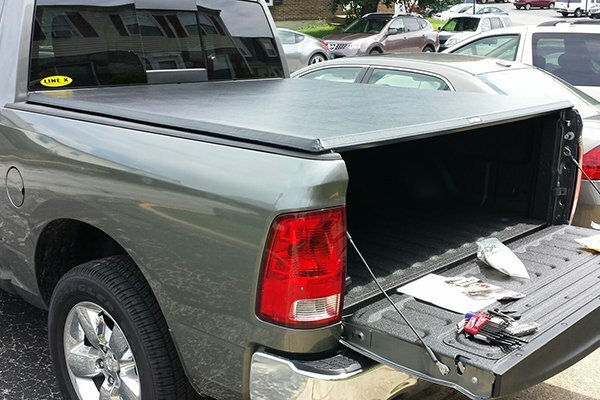 These TruXport bed covers feature a latching mechanism that can only be released from underneath, perfect for locking tailgates. Its innovative, dual-latch system features pre-set tension control integrated into the latch to ensure smooth and easy operation. Installation is a cinch—no cutting or drilling required—and takes only 20-25 minutes. Safeguard your payload and boost your pick-up’s style at the same time with TruXedo TruXport Roll-Up Tonneau Covers, and rest assured that your newest accessory comes backed by a 5-year warranty. 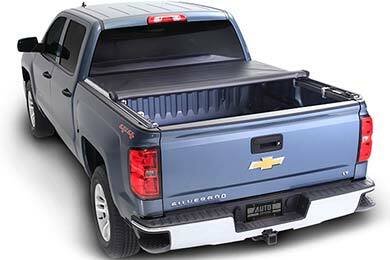 Trucks with bed liners: the TruXedo TruXport Tonneau Cover fits all sprayed-on and under-the-rail bed liners. It will not fit over-the-rail bed liners without cutting notches into the liner first. 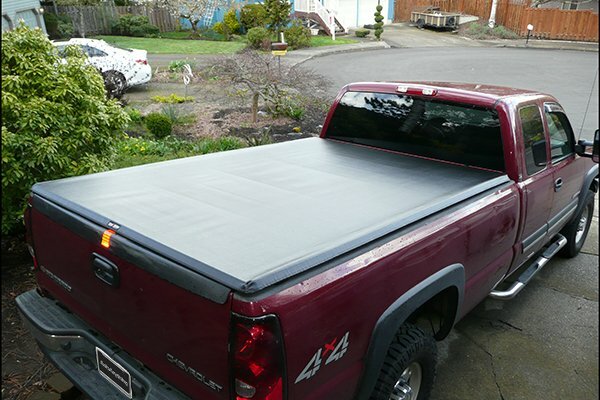 Trucks with bed caps and rails: the TruXport fits all factory and most non-factory bed liners and bed caps; however, it cannot be used with bed rails. 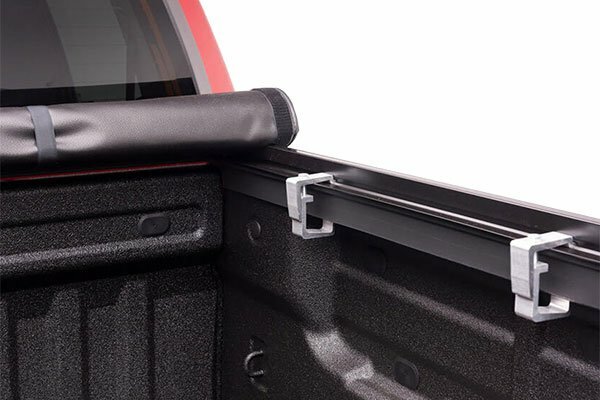 Very easy to install on my Nissan Frontier. Looks great and works well for me. I would highly recommend! This is my third Truse to cover and the last one I had for 9 years. They have all been great investments and have held up very well. If installed properly they won't leak. During installation make sure all rails are sealed and secured properly. Wouldn't buy any other brand/type. I like the look and the installation was very easy! Purchased this cover to protect cargo from the rainy Alaska weather, we operate a AirB&B and sometimes transport our guest, so I want to able to protect my customers luggage. This cover is not water tight but gives good weather protection for cargo. Well pleased with performance so far. Very easy to install, completed install in about 20 min. Installation was easy only took about 45 minutes. Looks great but my only complaints are that the support bars don't have a slight arch to support drainage of water off of the cover. And a clip to secure the cover when rolled up over the simple hook clips. Otherwise fantastic. Reference # 758-482-396 © 2000-2019 AutoAnything, Inc.